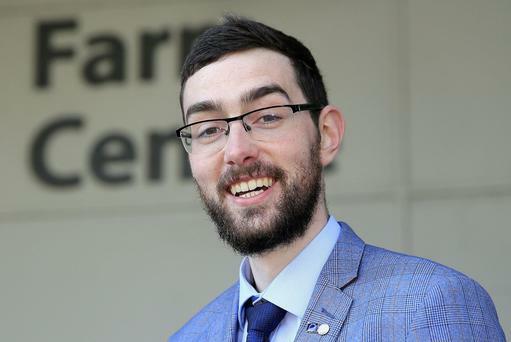 The new president-elect of Macra na Feirme has said the recent debate between An Taisce and farm organisations on meat consumption had been disappointing and he was concerned that children were being used as “a piece in a political debate”. Cavan dairy farmer and farm advisor Thomas Duffy was elected unopposed at a meeting in the Farm Centre in Dublin yesterday. Last week, An Taisce came under fire from farm organisations for promoting ‘Meatless Mondays’ in its school advisory packs to second-level students. Mr Duffy said the dispute added nothing of value to the climate change debate. “I’m disappointed that this is the way the conversation has gone. I don’t think it adds anything to the conversation, it’s an example of antagonism,” he said. “From my point of view, climate change is quite a key issue to me, but I want to ensure that farmers understand that there are responsibilities on us and opportunities for us, but I think we need to be realistic. “As a representative of young people, we see disordered eating on the rise, and I was recently reading a piece of Irish health research that showed that 68pc of Irish teenage girls were on a diet.